Let’s bear a Christmas tree! Next to the snowman and wreath, you can see a Christmas tree. Can you guess what it is made of? We are approaching the end of 2016. People are preparing for Christmas around the world. Can you guess what they are made of? We are approaching the end of 2016. People are preparing for Christmas around the world. 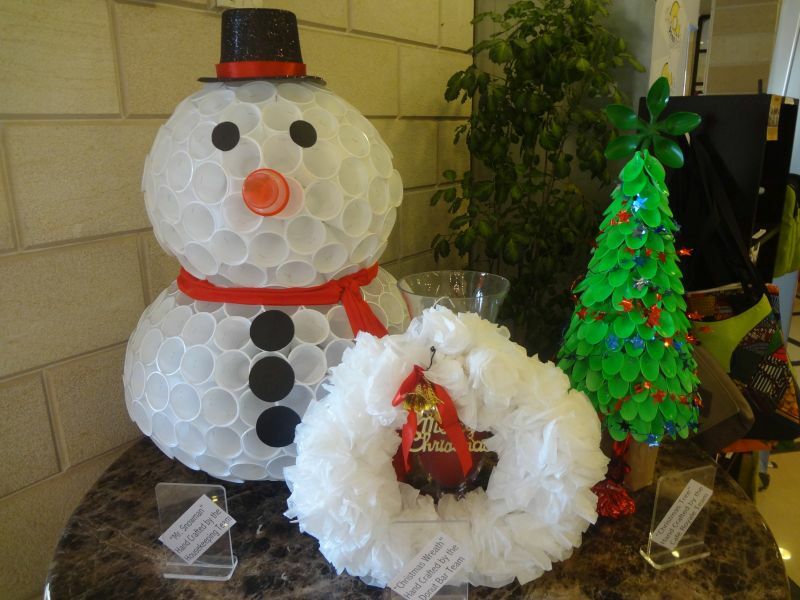 The hotel where my mom always goes on weekends in Liberia has just started displaying Christmas decorations. 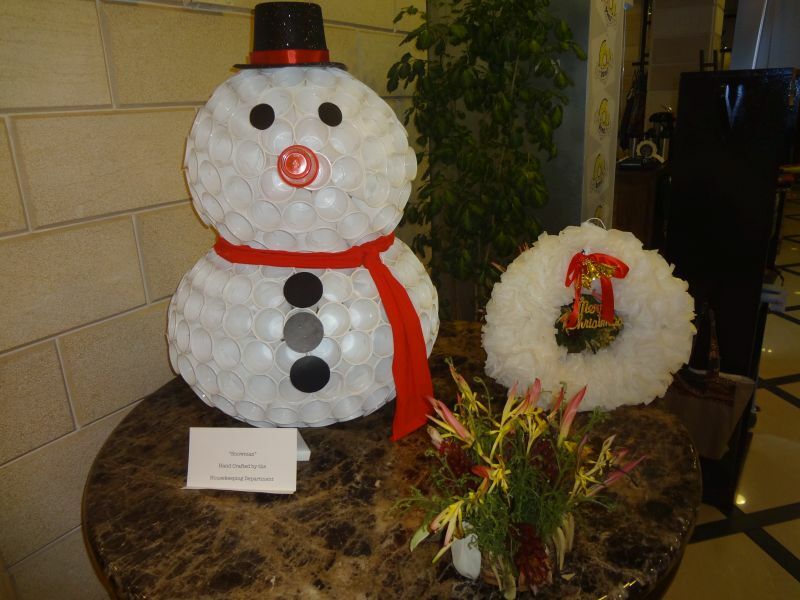 When she went to the hotel the other day, she was so intrigued by the snowman and the wreath which were placed in the lobby. Look! Can you guess what they are made of? My mom always says that sport and music can easily cross the national borders. She is still working in Liberia, and lives in an apartment facing the Atlantic Ocean. As she can enjoy the magnificent view of the ocean from her apartment, the residence is named Ocean View. She enjoys not only looking over the sea but also watching football games on the beach. 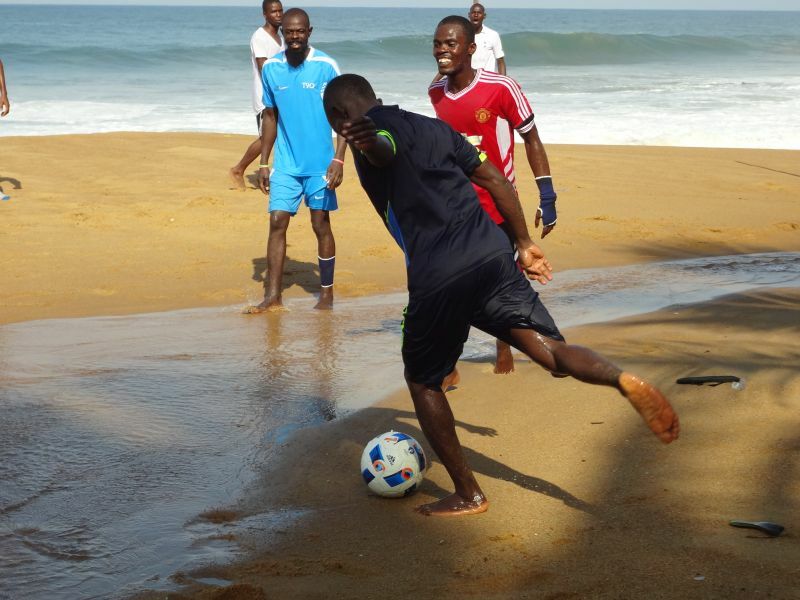 That is a beach football! Sushi is a creative art! Sushi is one of the well-known Japanese dishes. My mom is working in Liberia. 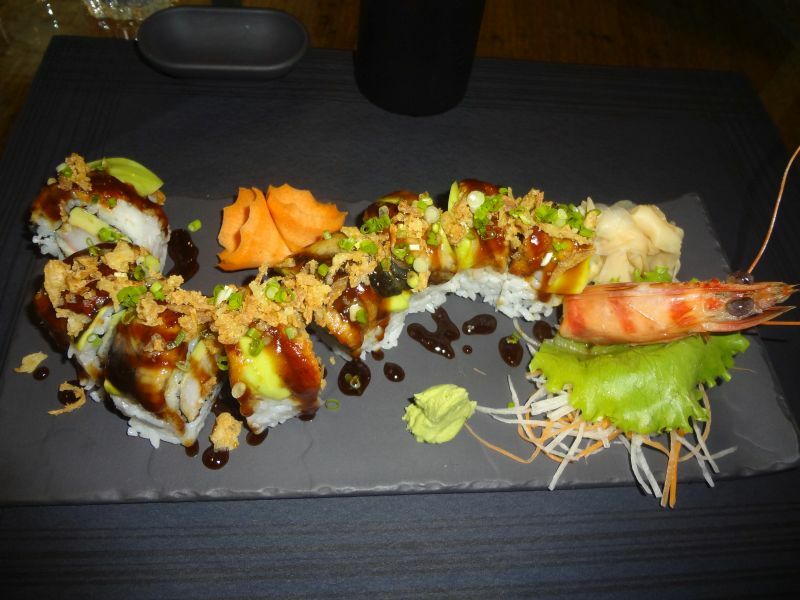 In Monrovia, the capital of Liberia, there are two restaurants where Sushi is served. She went to one of them the other day. When she was looking at the menu, she was intrigued by one of the names. July 26 is Liberia’s Independence Day. 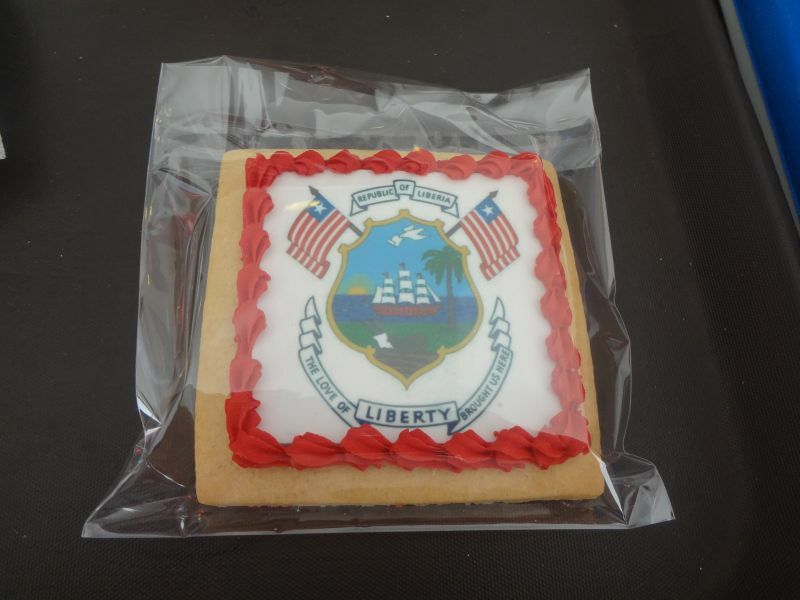 Today, Liberians are celebrating their 169th anniversary. At a café in a hotel in Monrovia, the capital of Liberia, my mom found commemorative cookies to celebrate Independence Day.